Last week I visited my favorite lys, the Hook N Needle, for their January sale. Even though my intent was to purchase only those items I was missing for planned projects, that scheme failed miserably. 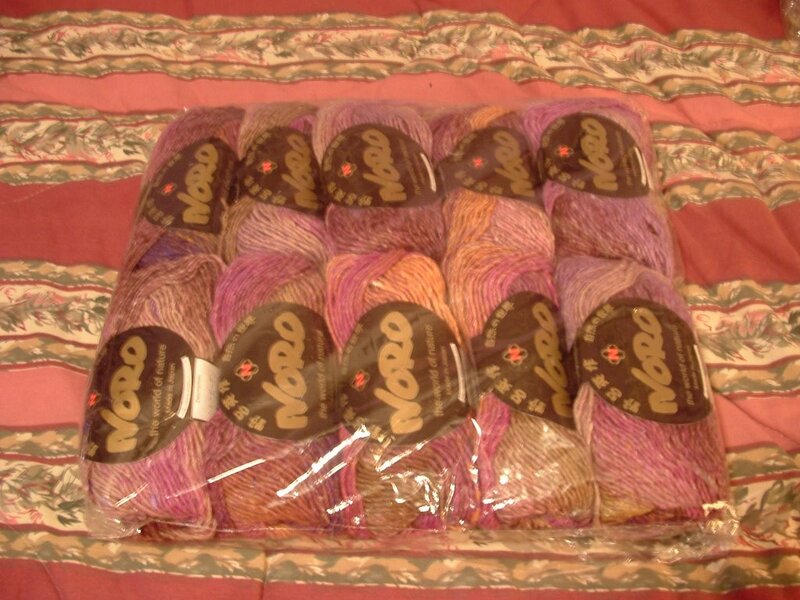 The odds were against me when I walked into the shop and saw the Noro and Fiesta Yarns for 40% off. Everything else in the store was 25% off. 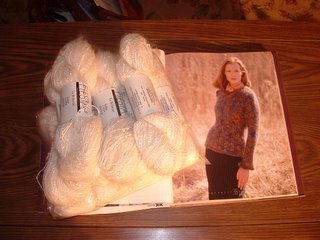 I finally purchased the yarn to make two of my dream knits. From the Top - Handpaint Country. 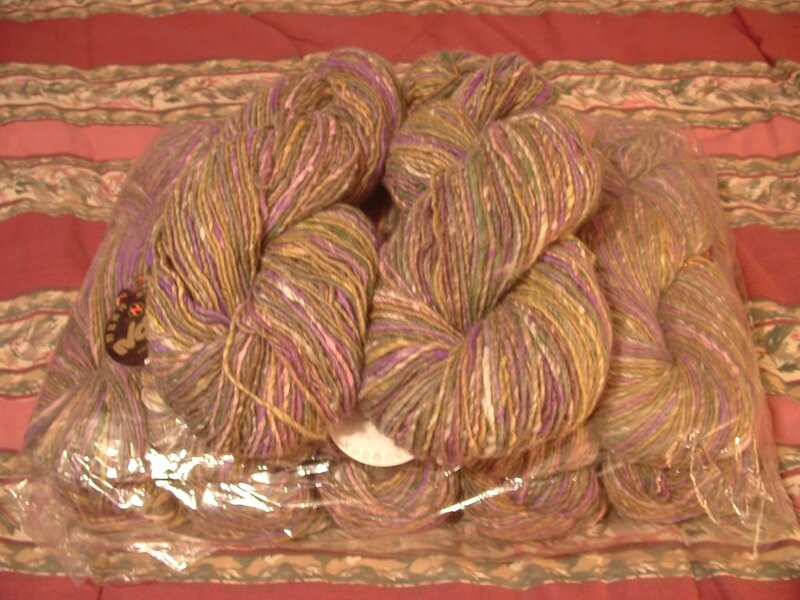 8 skeins Fiesta Yarns La Boheme in Snow. This only comes in sizes XS, S, and M, so I purchased extra to make a large. Pueblo Cape - Handpaint Country. This is the matching cape. 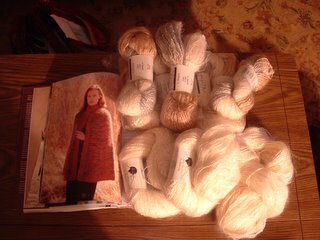 I'm going to use La Boheme in Vanilla, 7 skeins and Snow, 3 - 290 yard skeins. 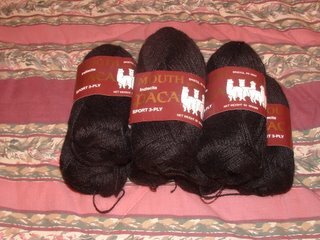 7 skeins black Indiecita Alpaca sportweight for a shawl. 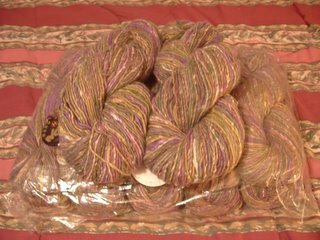 10 skeins Noro Silk Garden ( +5 in the stash marinating) possibly for another Tilt for me. 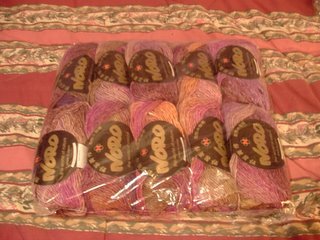 Yes, I am a yarn addict!!! While working on the left back of Tilt, I discovered that I had a ridge from the decreases that wasn't supposed to be there. I ripped it again and proceeded to finish it with the proper decreases only to discover that I had started back at the wrong row. It was about 4 rows too short and now that I've gone back to a recognizable starting point and things are going along smoothly. I'll still have to frog part of the right back that has the same ridge. The bad part is that I could have had all the top sections knitted and the sleeves started if I hadn't had such a brain fart! The poor Xmas socks have been sadly neglected and have not seen any action in several days. I'm currently consumed with Tilt and will give them some much needed attention this weekend. The yarn for the dream knit is perfect. So glad you found it on SALE! I don't know how you pass up on a dream knit anyhow....you did the right thing! Hmmmm....from the looks of things, Maureen probably said a higher number to you than she did to me at checkout! :) I LOVE her sales! !